This year Arnold Schwarzenegger will make his fifth appearance in the Terminator franchise as the killer robot T-800. (Sixth if you count his digital face cameo in Salvation.) 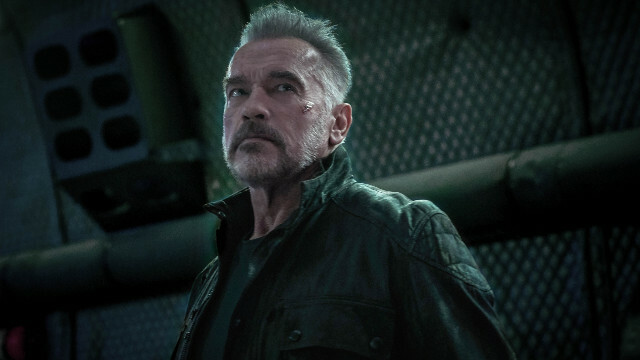 Rumor has it that Paramount will unveil the first footage from Terminator: Dark Fate soon. In the meantime, fans get six new images from Tim Miller’s upcoming sequel featuring the each of the main characters. The shots show off the iconic duo of Schwarzenegger and Linda Hamilton’s Sarah Connor. Both look aged, yet they still seem ready to risk their lives for defending the humanity’s future from Skynet. Moreover, we got a closer look at the characters of Natalia Reyes, Diego Boneta, Gabriel Luna and Mackenzie Davis. Davis and Luna are apparently playing Terminators. We don’t yet know for sure if Schwarzenegger is. RELATED – Watch A Behind-the-Scenes Video from the Set of the New Terminator! Recently, Schwarzenegger spoke about the upcoming movie declaring himself “very excited about it.” Furthermore, he revealed that the budget of the film is “somewhere between 160 million and 200 million dollars.” After Terminator Genisys failed to reignite the franchise, producer James Cameron indicated that the next Terminator movie serves as a direct sequel to Terminator 2: Judgment Day. Therefore, the plot will ignore all other Terminator films since then. Hamilton (Sarah Connor) and Schwarzenegger (T-800) return in their iconic roles in Terminator: Dark Fate, directed by Tim Miller (Deadpool) and produced by visionary filmmaker James Cameron and David Ellison. 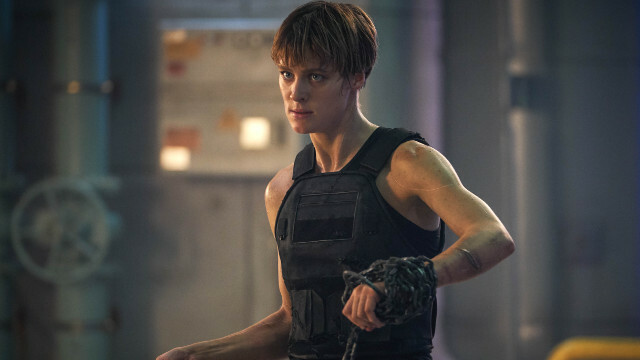 Following the events of Terminator 2: Judgment Day, Terminator: Dark Fate also stars Mackenzie Davis, Natalia Reyes, Gabriel Luna, and Diego Boneta. 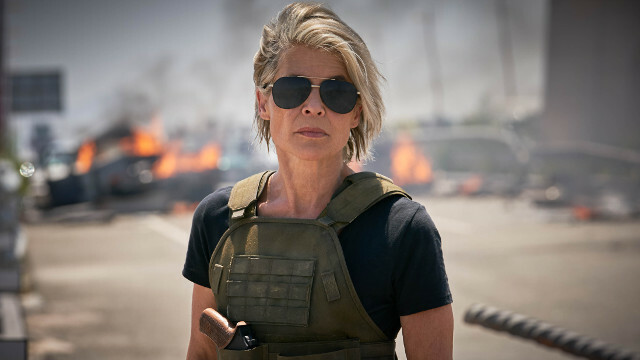 Terminator: Dark Fate hits the theaters November 1. Check the pictures in the gallery below out. Afterwords, let us know your thoughts about this movie in the comments section below.